The new poster is out too (above). Meryl Streep is already being favored to win yet another Oscar with this one. She has already won a Best Actress and Best Supporting Actress award. The movie opens in the U.K. on January 6 2012, and in the USA (wide release) on January 13, 2012. 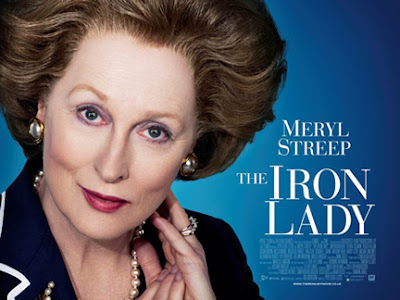 I do not like Thatcher but I can't wait for this movie to come out.